Flint Hill is a gorgeous antebellum home situated on a quiet lawn in Norcross, Georgia. Just minutes from Atlanta, you will find this historic home abounding with character. It's perfect for your spring or summer wedding. 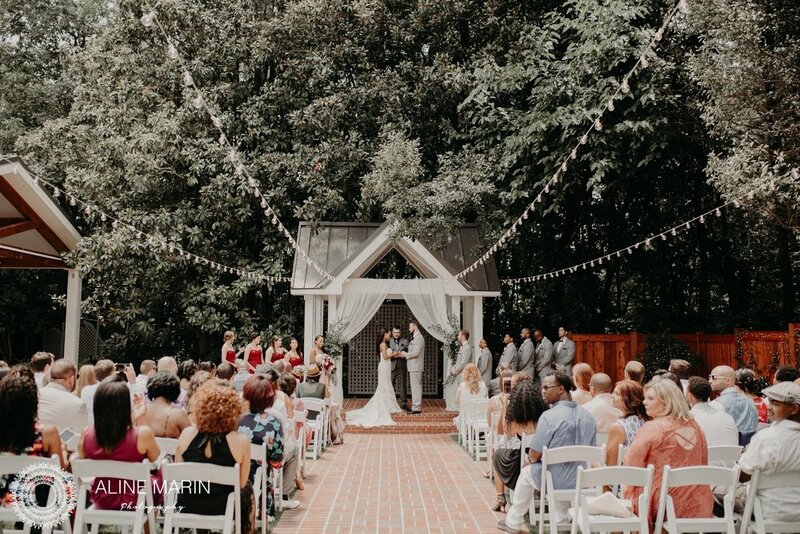 From the original flooring, doors, and mantels, to the beautiful large wooden bar, this wedding venue in Atlanta is a step back in time. An open floor concept allows guests to move freely about the home for an elegant and entertaining cocktail hour. 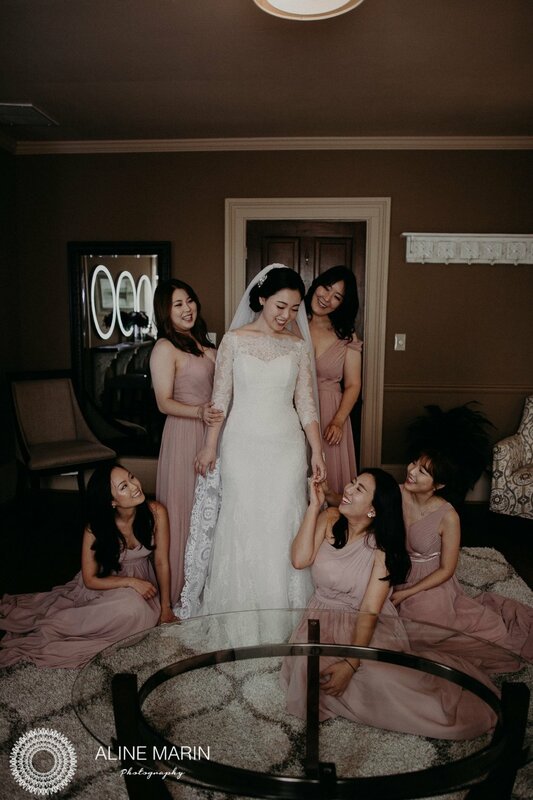 The Bridal Suite exudes an air of Southern elegance that mimics the atmosphere of the home, while the Groom’s Room offers a bit of modern grandeur with masculine touches and a flat screen in the room. 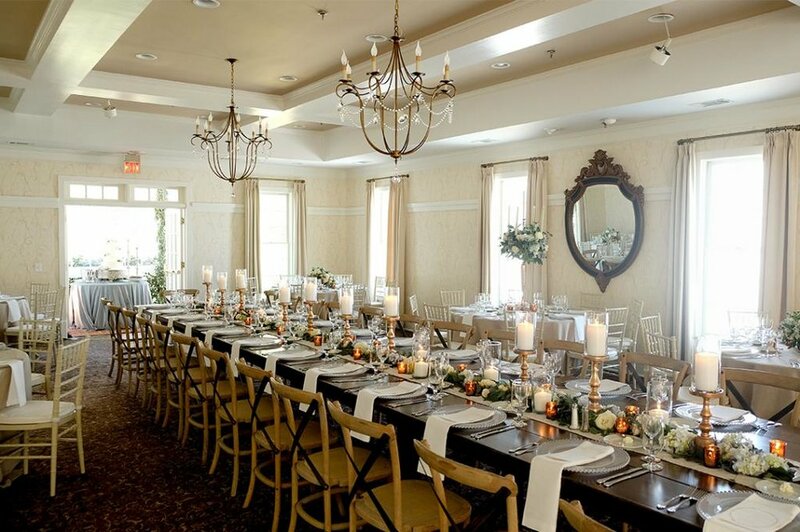 Down the hallowed halls of Flint Hill, you will encounter the grand ballroom. Encased in paned glass windows overlooking the courtyard and covered pavilion, the ballroom allows a beautiful area for guests to enter, mingle and dance the night away. French doors lead out to the courtyard and covered pavilion, which allows for a nice open concept. 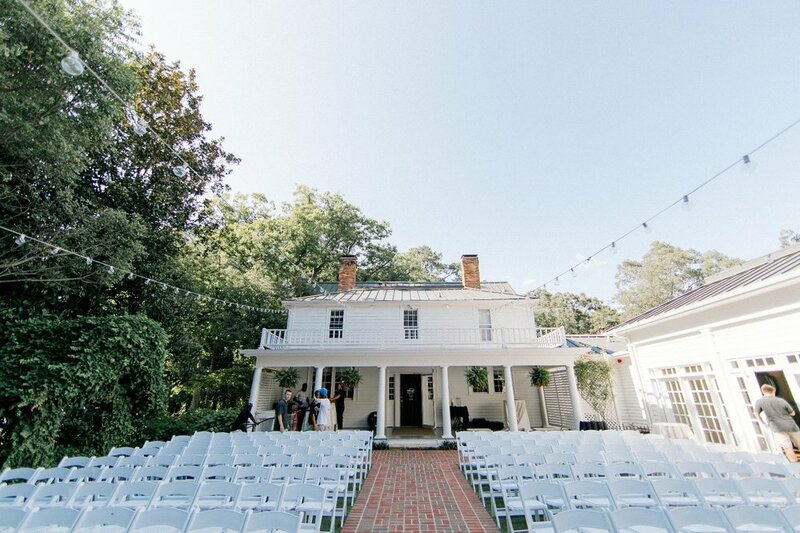 This wedding venue in Atlanta is perfect for the bride who likes space options. 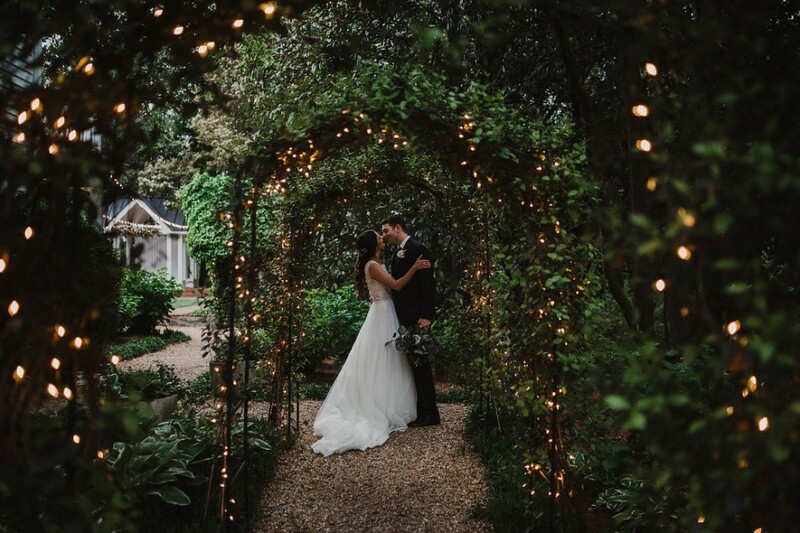 The courtyard is a truly enchanting space filled with luscious greenery, offering a gorgeous backdrop for a spring or summer wedding. A beautiful gazebo stands as the centerpiece of the area and is surrounded by a wooden structure, adorned with fragrant jasmine and effervescent lights. 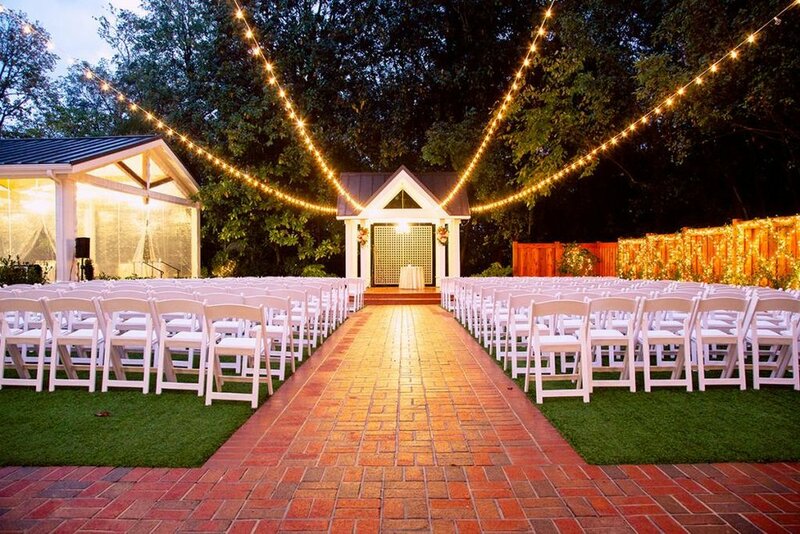 Tivoli lighting hangs delicately above the ceremony space to add an alluring, warm ambiance. The courtyard comfortably accommodates up to 275 guests. 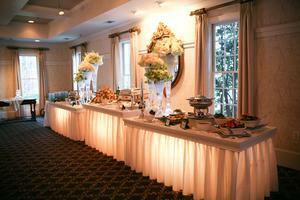 The covered pavilion at the wedding venue in Atlanta affords the bride additional ceremony, dinner or dancing space. 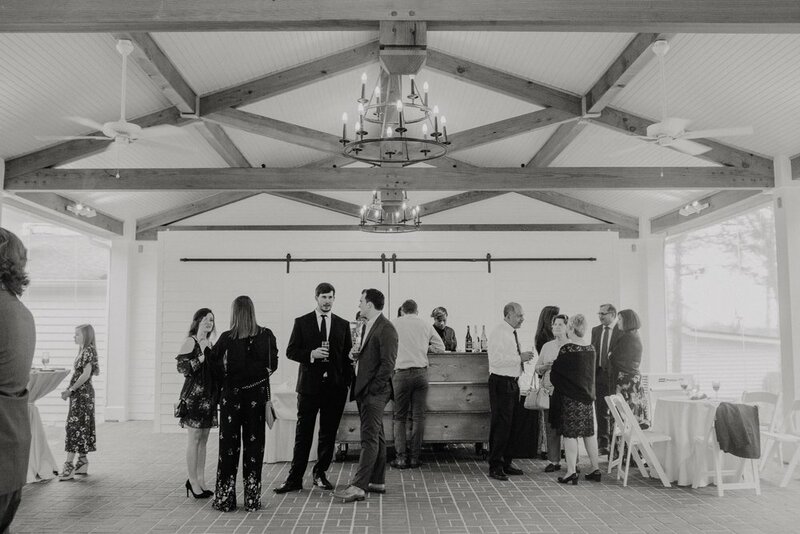 Equipped with an extra bar and custom-fit sidewalls for the winter months, the covered pavilion is a grand addition to any wedding space. We had the wedding of our dreams, and a lot of credit goes to the beautiful Flint Hil! 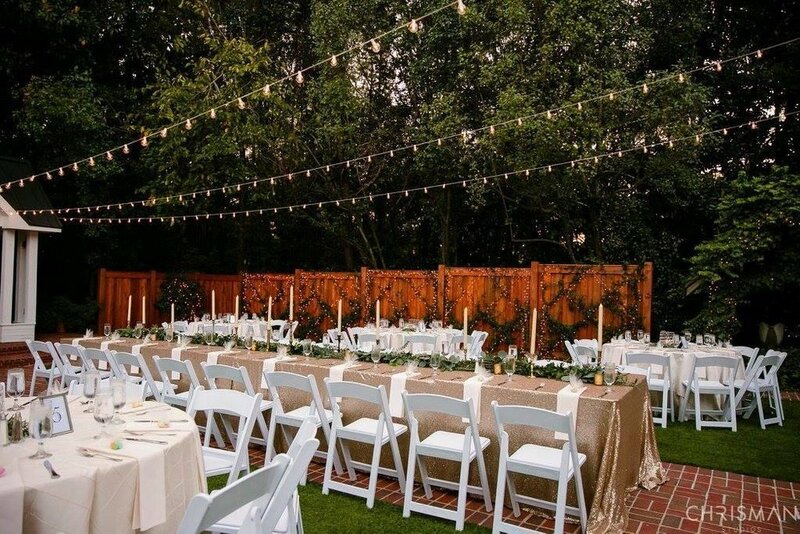 We wanted to have our wedding at a venue that was scenic for pictures, had an intimate backyard feel, and was a location that could comfortably accommodate our guests. Flint Hill offered all of this to us and more!